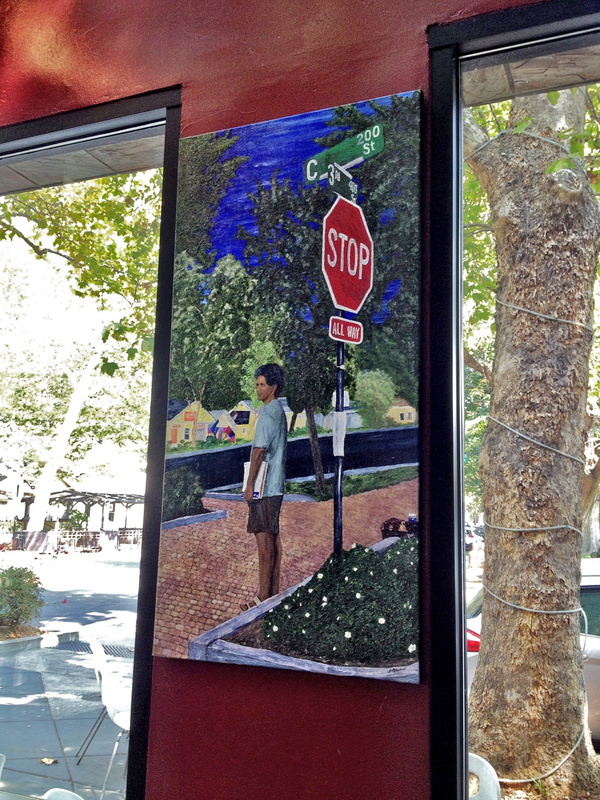 Jeff Andrews’ beautiful painting of David at the corner has found a permanent home at Crepeville, the restaurant across the street from Compassion Corner that has, for many, many years, supported David’s efforts in numerous ways. 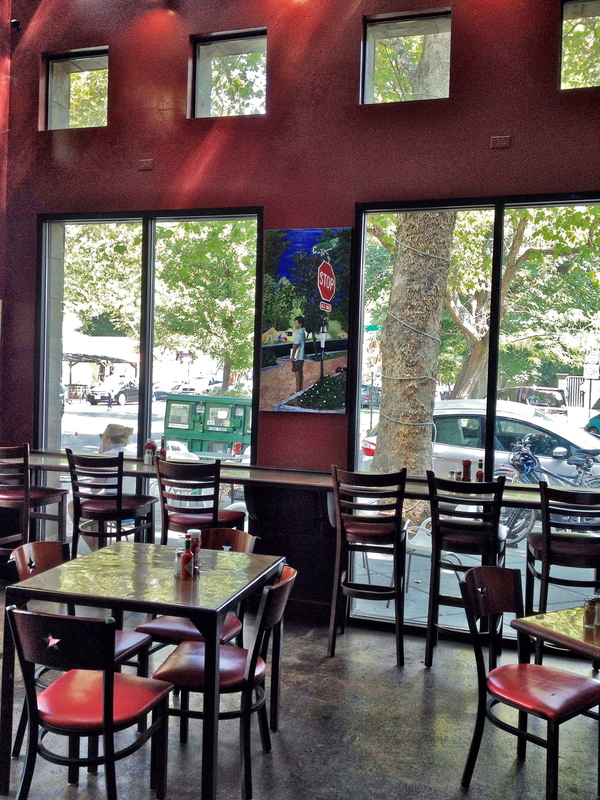 It’s a lovely tribute to David and his work to spread awareness for compassion, and a fitting thank you to Crepeville. « I’m Gonna Wash That Man Right Outa….